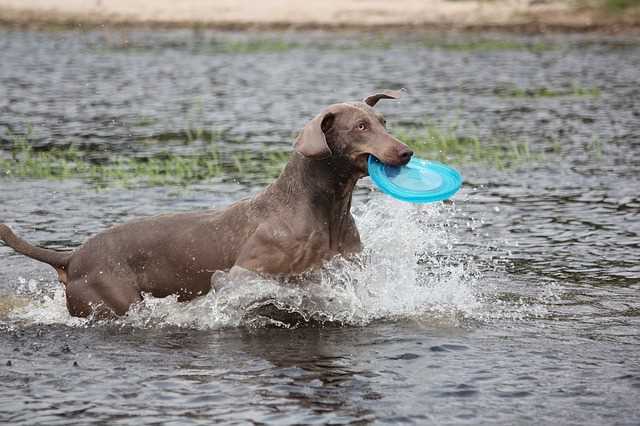 The Weimaraner is a bold, cheerful, and energetic breed that is also fiercely loyal and often protective of his owner. For centuries, the breed was developed to be a great hunting dog, and that is what they excel at even today. They are good at both tracking and scenting and were designed to hunt fowl and mammals. Although they are a great all round hunting dog, and are used primarily for hunting in many parts of the world, they also make a wonderful family pet. They are known for being easy to train and can excel in obedience work. 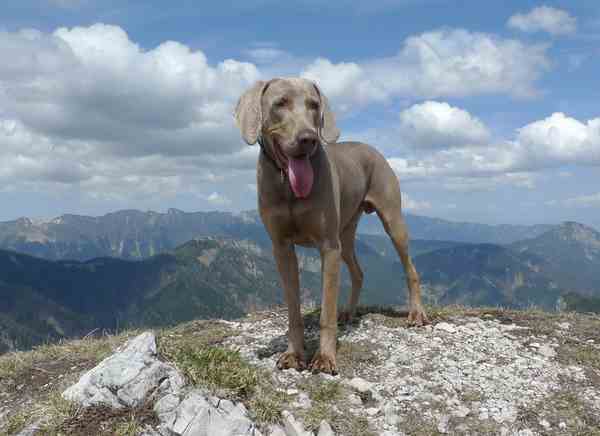 Weims, as they are sometimes called love children and do well around other dogs. Small pets such as cats, birds, and pocket pets may be a problem since he was developed to be a hunter. Any breed that was originally developed for hunting needs a lot of exercises. He is energetic and will need an owner that can fulfill his needs. Outdoors, a fence is necessary to keep him from running off. If fencing is not available, he should be maintained on a leash at all times. Excessive barking is usually not a big problem in this breed, but some develop separation anxiety which results in constant barking and destructive behaviors when the owners are away. They are very much a people dog that loves his family and wants to be near them at all times. Even though they may be hunting dogs, they do best if they live in the home with their owners. They do not do well if confined to a kennel or left outdoors. This is an excellent choice for families with children. While these dogs get along great with kids, they may be too energetic for very young children. Supervision is essential. As far as living conditions are concerned, they can live anywhere, but do best in the country or suburban locations where they have room to run. Apartment or city life may not be the best way to raise a Weimaraner unless you have plenty of time to exercise and meet their energy needs. As great as these dogs sound, they are not for first time owners. Couch potatoes? No need to apply for one of these dogs. They have the stamina and energy to spare, which requires the owner to find plenty of time for exercise and mental stimulation. They need about two hours a day of active play or exercise to meet their energy needs. Without both physical and mental exercise, they can become anxious and end up being a big handful to manage. Since they are smart, if they do not have something to do, they will find something, and that is when the trouble begins. It is worth repeating that these dogs are brilliant. Some people have referred to them as the “dog with the human brain.” If you want a smart breed, this one may be for you, but buyer beware. Smart dogs learn quickly, and so training is faster and easier with bright dogs. Smart dogs can also outsmart their owners so be prepared for all kinds of mischievous from stealing treats to finding ways to get through the patio gate. Do you remember Williams Wegman, the photographer who made the Weimaraner famous by dressing up his dogs and then capturing them in classic poses that emulated pop culture? Some of the great videos produced were aired on Sesame Street and Saturday Night Live. Like so many breeds, the history of the Weimaraner is cloaked in mystery and controversy. Originating in Germany, they were a favorite of royalty who loved the breed’s power and endurance coupled with their loyalty and fearlessness. Some say that you can trace the origins back to at least the 1200s where there are dogs that resemble the Weimaraner depicted in sculptures, tapestries, and paintings. A Van Dyck painting from around 1631 shows a dog seated beside Prince Rupprecht von Pfalz of Germany. In all likelihood, the actual Weimaraner breed is much younger than that. The first known pure-bred Weimaraner was developed by the Grand Duke Karl August in the late 1700s for hunting large game. He lived in Weimar, Germany thus the origin of the breed’s name. It is uncertain what dog breeds went into the mix when developing the breed. It is thought that the Bloodhound, the English Pointer, the German Shorthaired Pointer and the Great Dane were used along with the Huehnerhund or chicken dog. What we do know is that they were prized for their hunting ability but also served as protectors. The Duke was very protective of his breeding stock and would not allow anyone other than trusted family or other nobility to use his dogs. Anyone who happened to own one adopted this same protective attitude which lasted into the late 1800s. Even into the 20th century, few Germans even knew of them. The Weimaraner Club of Germany was founded in 1897 for the purpose of improving and protecting the breed, not promoting it. The breed was introduced to America in 1928 by Howard Knight, an avid sportsman. He later imported four more. The breed was recognized by the American Kennel Club in 1942, and the following year, the Weimaraner Club of America was formed. They became very popular and with popularity comes a decline in the quality of the dogs. Besides their great hunting and protective abilities, they have also had other roles throughout their short history. They have been used as search and rescue dogs. Another interesting job that Weimaraners performed during the Cold War was that of finding missile parts. They would sniff out small pieces of the missile after its launch so that scientists could study them. Today they are ranked in popularity by the AKC at number 34. Other Names Used: Weims, Silver Ghosts, or Gray Ghosts. 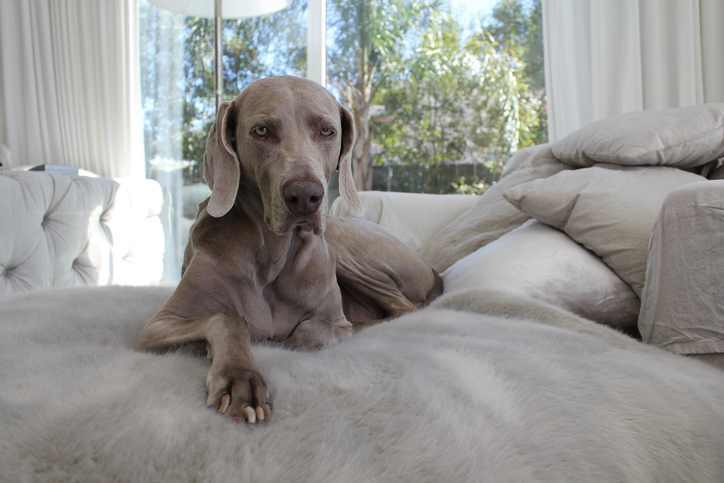 Weimaraners are known to be sensitive, meaning they respond better to a gentle touch and consistent training methods. Training is the key for any dog, but especially for Weimaraners, beginning the day you bring a new puppy home. They are smart, but also rambunctious, especially during puppyhood. 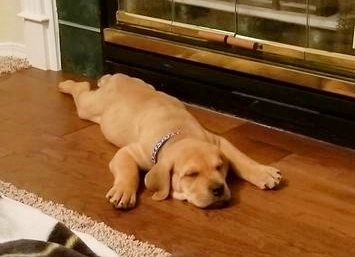 Puppy classes are often recommended both for socialization, but also for training of basic commands. 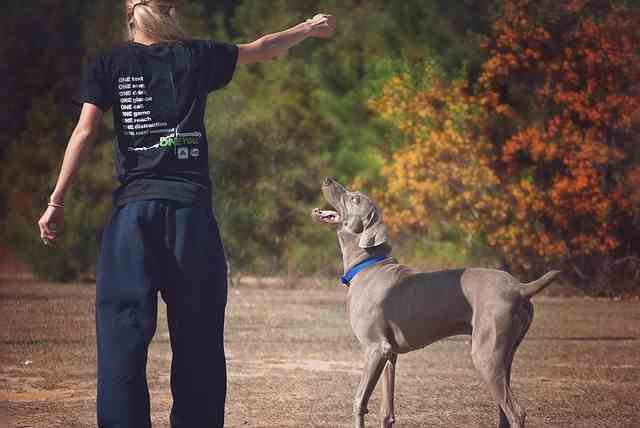 Most Weimaraners will bark to alert their owners if strangers or other animals come into their line of sight or hearing. They will also bark if they perceive anything to be threatening. They make excellent watch dogs because they are alert and have keen senses. Most are relatively friendly with strangers, though, so as a guard dog, they may not be the best choice. Their size is ample for keeping potential intruders at bay while help is summoned. 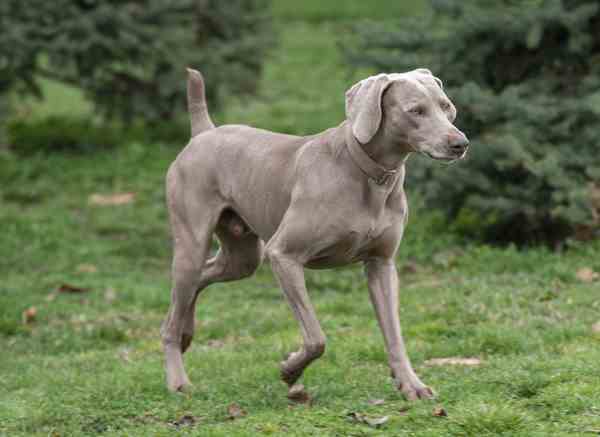 There are two varieties of the Weimaraner, the short coated and the longhaired version. Weimaranders with long hair are not as common as the short haired but slightly wavy and silky. Their ears are covered with hair, and the tail is feathered, and there are longer hairs on the legs. These dogs are easy to groom and do not require too much of your time. They should be brushed about once a week using a hound glove or a natural bristle brush. 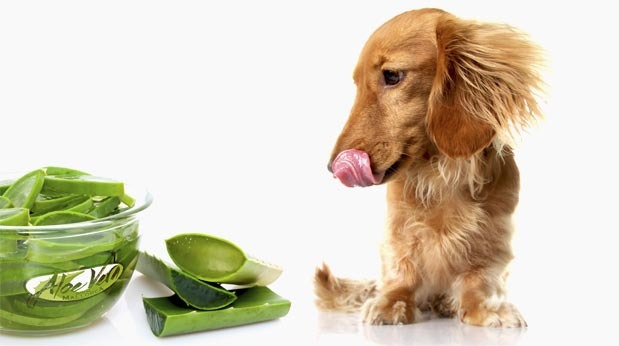 Brushing helps remove dead hair and stimulates the dog’s natural oils that will add shine to the dog’s coat. Long haired Weimaraners require more brushing. Bathing needs to be done but not frequently. Use a good quality dog shampoo and massage into the scalp. Be sure to rinse thoroughly. While bathing, it is also a good idea to check the skin for bumps, scratches, or fleas. Nail clipping is necessary and should be done regularly, at least every two weeks or so. If your dog spends considerable time outdoors on concrete, he will naturally grind his nails down and won’t need you to clip them so often. A good rule of thumb for when to cut or grind down a dog’s nail is to listen as he walks on a hard surface. If you hear clicking, it’s time to cut. Ears must be checked and cleaned using a cotton ball and dog ear cleaner. If there is hair growing inside the dog’s ear, that should be removed. Dental care is also important for any dog breed, so be sure to get a doggie toothbrush and dog toothpaste. There are other products on the market to use if the dog will not tolerate a toothbrush. The Weimaraner is a relatively healthy dog that has not suffered from severe genetic problems due to over-breeding. However, as with all dog breeds, they are prone to certain conditions. Hypertrophic osteodystrophy is a developmental condition that affects large breed puppies such as the Weimaraner. It targets the long bones near the growth plates at the writs and hocks. Pain and lameness can range from mild to severe. The affected areas are warm, swollen and painful to the touch. Other symptoms can occur at the same time including high fevers, depression, loss of appetite and weight loss. Hip Dysplasia refers to the abnormal development of the hip joint. The hip is considered to be a ball and socket joint, and when it is malformed, the joint does not slide smoothly and will cause pain and lameness. The Orthopedic Foundation for Animals has been surveying dog’s health since 1974. They reported that in a sample of Weimaners born between 2011 and 2016 the rate of hip dysplasia was only 6.9%. This was down from the complete survey from 1974 to 2016 where it was up at 8.6%. While not good, there are signs that the problem is being addressed by conscientious breeders. Canine “bloat” also known as “Gastric Dilitation-Volvulus” (GDV) is severe and life threatening and likely the most serious health threat in the breed. 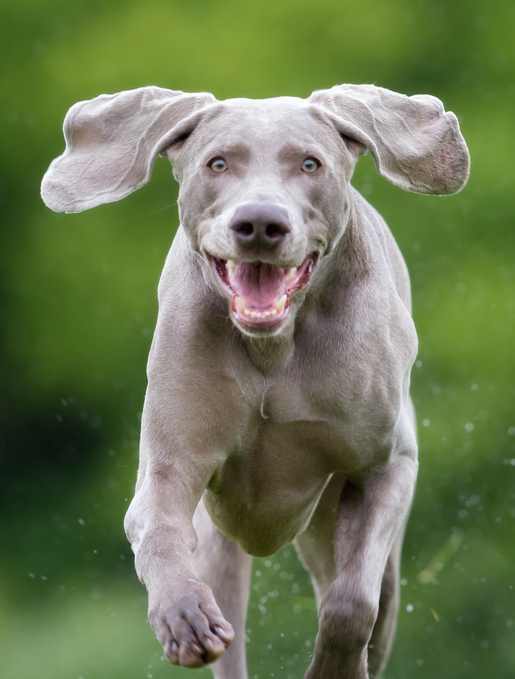 Weimaraners, with their large deep chest cavity, are very susceptible to bloat. Bloat is a problem where the stomach expands with gas and water and may be accompanied by torsion which causes the stomach to twist over on itself. Without immediate health intervention, it can be fatal. We very STRONGLY recommend a non-gulping bowl to slow down your dog's natural instinct to gulp their food, possibly causing bloat. This is a condition of the eye where the eyelids roll inward. It produces irritation with the eyes, tearing, and squinting. It requires surgery to correct the problem. Heidi, the Eisenhowers' Weimeraner, lived in the White House with the First Family.